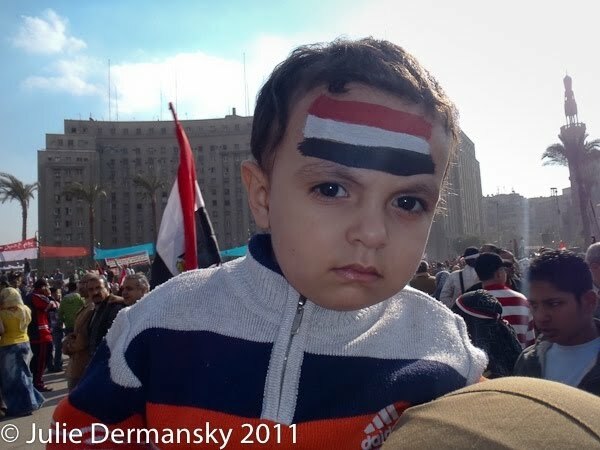 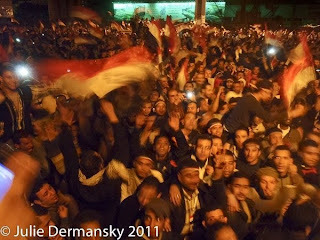 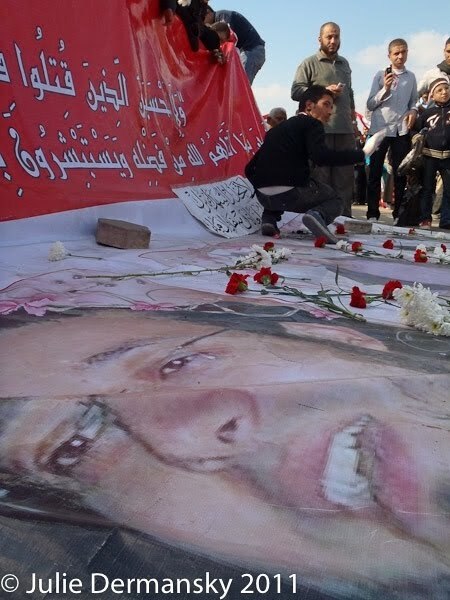 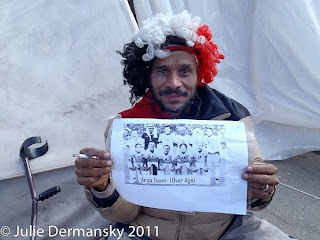 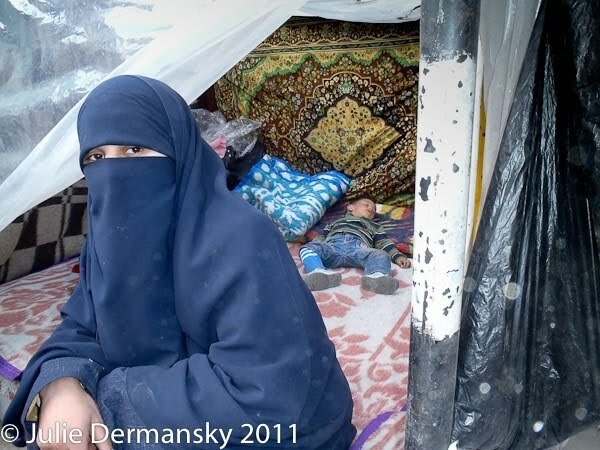 My favorite photographer - Julie Dermansky - just sent me the following pictures she took from Tahir Square in Cairo. 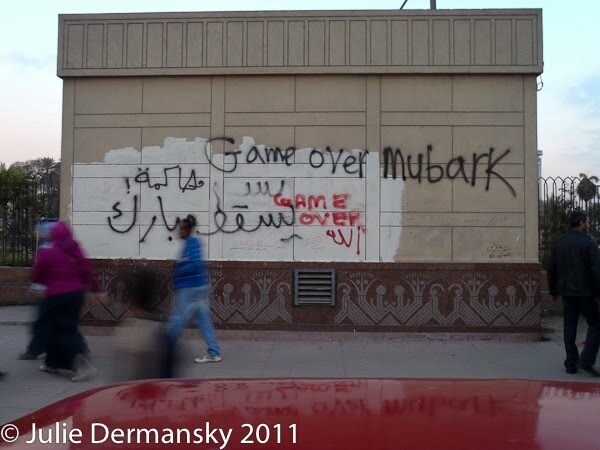 Her normal camera was confiscated by the Mubarak regime, and so these pictures were taken with a flip phone. To see Dermansky's pictures of the Gulf of Mexico, see this and this.